Cleaning agent for cleaning printing blankets and rollers in sheet-fed and newspaper presses. It is suitable for both manual cleaning and use in automatic installations in sheet-fed offset. 6. Good wetting of the roller and blanket surfaces. No residues left. We recommend the settings of washing system to optimise the cleaning cycle and Bottcherin 60 performance. In case of manual cleaning, use Bottcherin 60 undiluted or mixed with water. Apply the wash to the blanket or roller, then finally rinse with water until all ink and cleaning agent residues have been removed. Follow the automatic washing system manufacturers operating instructions. If manual cleaning with a hand rag, wear protective gloves during application, follow all press safety instructions. 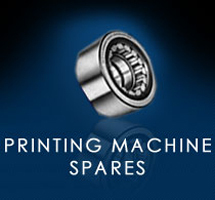 Bottcherin 60 is approved by the manufacturers Heidelberg, MAN, Koenig & Bauer, Baldwin, and WIFAG for use in their machines.